'Journey of the Universe' is designed to inspire a new understanding and closer relationship with Earth in a period of growing environmental and social crisis. Our 14 billion-year-old universe is expanding and so is our mind after viewing 'Journey of the Universe', which puts deep thoughts in easily understandable terms. Journey of the Universe in many ways resembles Sagan's venerable undertaking, being even more ambitious in attempting to present the entire history of existence into a single hour. The dialogue between the findings of science and ancient wisdom is at the heart of Journey of the Universe. One day on a Greek island, and your view of the universe will change forever...Ask acclaimed author and evolutionary philosopher Brian Thomas Swimme about our role as humans in this awe-inspiring universe, and his insights will light up the night skies. As our host, co-writer, and fellow traveler, he shares his infectious curiosity about life’s biggest questions in the epic JOURNEY OF THE UNIVERSE. Using his skills as a masterful storyteller, Swimme connects such big picture issues as the birth of the cosmos 14 billion years ago – to the invisible frontiers of the human genome – as well as to our current impact on Earth’s evolutionary dynamics. 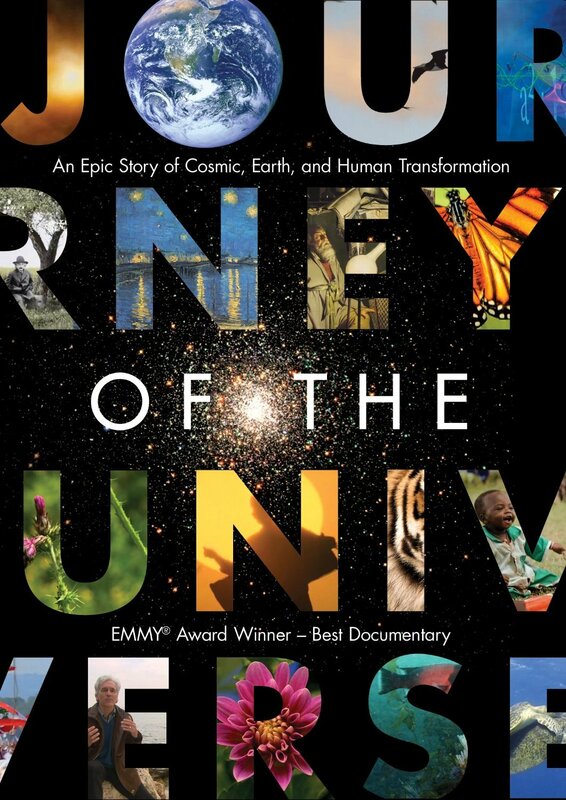 Through his engaging and thoughtful observations audiences everywhere will discover the profound role we play in this intricate web of life.From the Big Bang to the epic impact humans have on the planet today, this film is designed to inspire a new and closer relationship with Earth in a period of growing environmental and social crisis. Beautifully filmed in HD, our story begins on the historically rich Greek island of Samos, birthplace of mathematician Pythagoras. Disembarking on the island at dawn, Swimme expertly guides us on an exhilarating trek through time and space, sharing a wondrous view of cosmic evolution as a process based on immense creativity, connection, and interdependence. After the toll of midnight, he sets sail into the star-lit waters of the Aegean Sea, leaving audiences with a sense of wonder at the mystery, complexity and connectivity that permeates the Earth and universe from the very beginning.